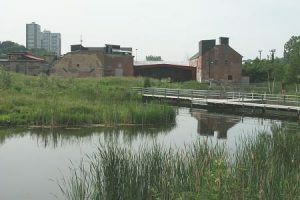 The Bennington Heights neighbourhood is situated on a flat plain of land, on the crest of an escarpment which thousands of years ago had been part of the shoreline of ancient Lake Iroquois – the forerunner to Lake Ontario. This area was first settled in the 1870’s by John Cudmore and Daniel Ryan, who operated successful market gardens on their respective properties. The Cudmore farm was subdivided for residential development in 1889 and later re-subdivided in 1912. Daniel Ryan’s property, which was located just to the north of the Cudmore farm was subdivided in stages between 1891 and 1946. The first resident of the present day neighbourhood was Thomas Weatherhead, a solicitor for the East York School Board. In 1925, when Weatherhead purchased number thirty Rosemount Avenue he had the Rosemount street name changed to Bennington, which was his wife’s maiden name. The Bennington name was also adopted by the Bennington Heights School when it openedin 1950. This neighbourhood has been referred to as Bennington Heights ever since. Bennington Heights is one of Toronto’s most exclusive and expensive neighbourhoods. Over the years it has been the home of many prominent Torontonians including author Margaret Atwood, whose highly acclaimed novel Cat’s eye, is loosely based on her childhood growing up in Bennington Heights. 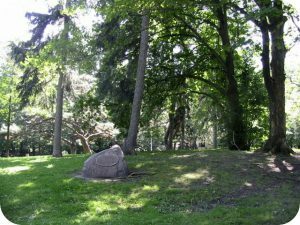 Bennington Heights is bound on two sides by the bluffs of the Don River Valley ravine and on the north by Mount Pleasant Cemetery. These natural barriers help preserve the peaceful tranquility of this neighbourhood. Bennington Heights English Manor stone houses were built in the 1920’s and 1930’s. The Cottage style two-storey homes and bungalows were built in the late 1940’s and early 1950’s. Bennington Heights’ winding roads, culs-de-sac and ravine properties all add to the charm of owning a home in this neighbourhood. With so much nature at your doorstep don’t be surprised if you spot a fox gingerly taking an afternoon stroll through Bennington Heights as I had the pleasure of witnessing while touring this neighbourhood. Bennington Heights residents can shop for all of their household needs at the mall located on the south-east corner of Bayview and Moore Avenues. This mall features a popular grocery store, a large pharmacy and a bank. Further north on Bayview Avenue is the Leaside shopping district which contains an excellent selection of specialty stores, food shops and restaurants. Bennington Park, located off of Bayview Heights Drive, has a nice view of the Don River Valley. This park is the home of the Bennington Heights Tennis Club which has two tennis courts. Next to the park is the Bennington Heights School. The school’s recreational facilities include a soccer field, two baseball diamonds, and a large children’s playground. Evergreen Gardens Park, off of Moore Avenue also has a children’s playground. Nature lovers and fitness enthusiasts can access the Moore Park Ravine walking trail from Moore Avenue east of Hudson Drive or from the Bayview Avenue extension. 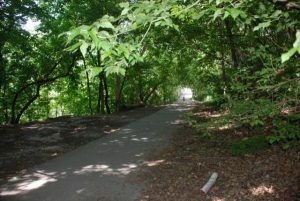 The Moore Park trail is a remnant of the former Belt Line Railway, a commuter train that serviced Toronto in the early 1890’s. The Moore Avenue bus connects passengers to the St. Clair station on the Yonge-University-Spadina subway line. Motorists can hop on the Bayview extension which will usher them downtown in minutes or provide access to the Don Valley Parkway and a network of connecting highways leading into and out of the city. A small park near Bayview and Moore Avenues features a childrens playground surrounded by a mature tree canopy. 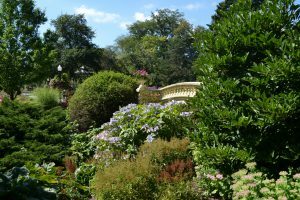 Rosedale features a number of ravines, including the Vale of Avoca, Moore Park, Park Drive and Rosedale Valley ravines. 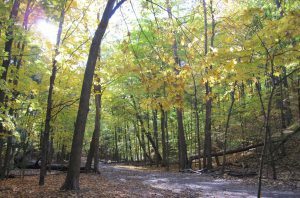 Individuals looking to get outdoors and enjoy nature can access these ravine trails at designated spots throughout the neighbourhood. 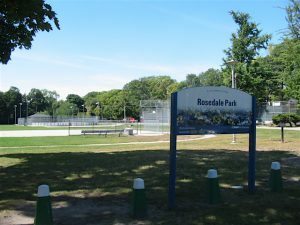 Rosedale Park is located off Schofield Avenue. It includes eight tennis courts, a sports field, an artificial ice rink, and a wading pool. Ramsden Park, off Yonge Street, features four tennis courts, an artificial ice rink, and a wading pool. A 1.5 hectare park near St.Clair Avenue East and Mount Pleasant Road that features five lighted outdoor tennis courts, a lighted lawn bowling green and club house, a wading pool, children’s playground, sport field and a baseball diamond. The park is home to the Moore Park Tennis Club and the Moore Park Lawn Bowling Club. Moorevale Park is a nicely shaded park with lots of beautiful trees. There are washroom facilities in the clubhouse and parking is available on the street.